The exhibition Sorolla y la moda closes on 27 May at the Museo Sorolla in Madrid. Curated by Eloy Martínez de la Pera, it investigates the connections between Sorolla’s painting and fashion between 1890 and the 1920s. This entry was posted in Exhibition, Uncategorized and tagged closing soon, Fashion, Madrid, Museo Sorolla, Sorolla on May 23, 2018 by costanzabeltrami. 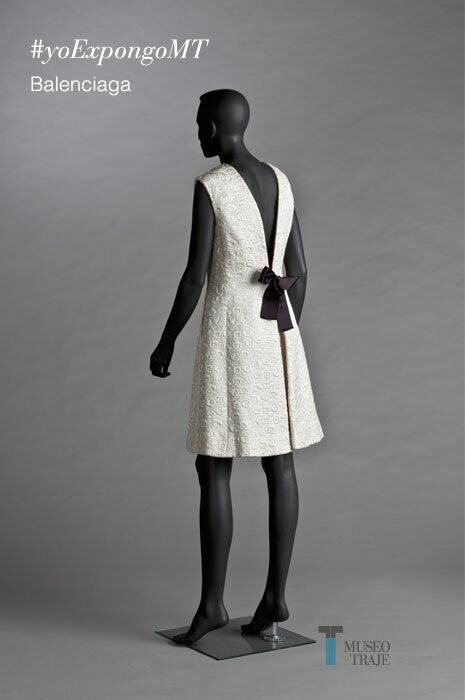 España de Moda (Fifty years of Spanish Fashion), Museo del Traje, Madrid, 13 May – 31 August 2014. Exhibition of dress, drawings and posters. Includes interviews with leading Spanish fashion designers from the 1960s onwards, who developed from being producers of luxury goods to adapting to new economic factors in the 1970s and introducing prêt-a-porter garments; to the present position with young designers working for established world-renowned companies.